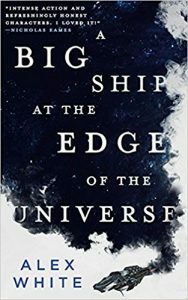 A Big Ship at the Edge of the Universe, Alex White (Orbit 978-0-316-41206-3, $15.99, 470pp, tp). June 2018. 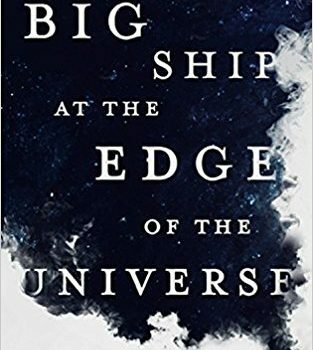 I’m not entirely sure what I was expecting from Alex White’s A Big Ship at the Edge of the Universe, but as it transpires, what I experienced is a lot weirder than I really anticipated. Good, but weird. White (Every Mountain Made Low, Alien: The Cold Forge) has written a compelling science fantasy space opera that reminds me partly of Melissa Scott’s Five-Twelfths of Heaven, partly of television’s Farscape, and partly of Killjoys. In a world-spanning science fictional civilisation where most people have some form of magical talent (linked to an organ in their heads), Nilah Brio is a racecar driver. An elite athlete, a champion at the top of her field with every expectation of achieving more success, she possesses a full measure of confidence in her abilities and her place in the world. But in the middle of a race, someone uses personal magic where magic shouldn’t be possible – according to the rules of the racetrack, which prevent unauthorised magic from being used in order to maintain a fair competition. 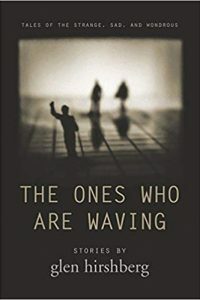 Caught up in the edges of the spell, Nilah witnesses the murder of a fellow driver and what will turn out to be the edges of a vast conspiracy. Desperate, she manages to get away herself, ending up in a bad part of town where she encounters Elizabeth “Boots” Ellsworth, who may be partly responsible for the trouble Nilah’s currently in. Boots used to be a fighter pilot. She was in the military when her world died – there was a war – and life hasn’t exactly treated her kindly since. She’s one of the handful of people who have no magic, and she’s made her living selling treasure maps since the war ended. In a big enough galaxy, there’s bound to be a lot of lost ships and hidden treasure, and Boots sells elaborate fakes with plenty of verisimilitude. But she made the mistake of selling one to her former captain from her military days, and he and his crew have turned up to take some payback for their wasted time, money, and the potential danger that Boots’s fake put them in. Boots is trying to stay ahead of them when she runs into Nilah. Captain Cordell Lamarr is tenacious and smart, though, and shanghais Boots – and Nilah, because she’s in Boots’s company – aboard his ship, the Capricious. It turns out that one of Boots’s treasure maps has a connection to the conspiracy that now wants Nilah dead. Because they’re aboard the Capricious, Cordell’s ship has also become a target. With Boots resentful and pissed off about being hauled aboard and threatened – it’s buyer beware; Cordell should’ve known that – Nilah furious, frightened, and out of her depth, and the crew of the Capricious not particularly happy to have either of them there, despite their captain’s decision, it’s an uncomfortable environment even before the shooting starts. There’s a lot of shooting. And a hunt to uncover the actual treasure that Boots’ map hinted at: a warship, but a warship built for a more sinister purpose than just making war. 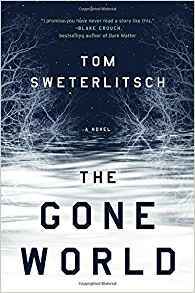 It turns out the conspiracy may be tied to the death of Boots’s and Cordell’s home planet, and the consequences if the crew of the Capricious survive to expose it won’t be pretty. Did I mention that this novel’s weird? It’s pretty weird. The juxtaposition of magic and technology in a science fictional setting is a little jarring until you get used to it, and I’m never not going to find science fictional Formula-One-style racing strange. But White’s written a fast-paced novel, filled with action and incident, in an interesting and appealing setting. And he has a gift with characterisation. Although Boots and Nilah are the only viewpoint characters, A Big Ship at the Edge of the Universe is very much an ensemble cast. An ensemble of misfits – or at least, the addition of Boots and Nilah make things much less an easy fit for the Capricious‘s crew. Each of them is drawn distinctly, and comes across as a believable individual, even if I’m not exactly feeling the chemistry in the relationship that develops between Nilah and the ship’s engineer, violent and taciturn Orna. A Big Ship at the Edge of the Universe is a rollicking fun ride. I enjoyed it a lot, and I’m looking forward to the sequel, A Bad Deal for the Whole Galaxy. Here’s an excerpt if anyone wants to read it. It’s embedded from Amazon.